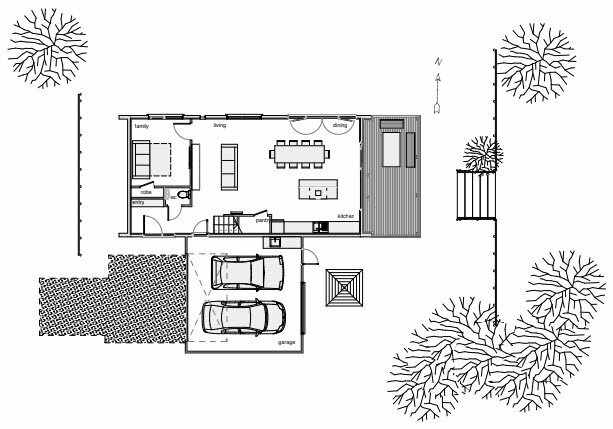 Pitkin – Douglas Home | Sustainable Engineering Ltd. 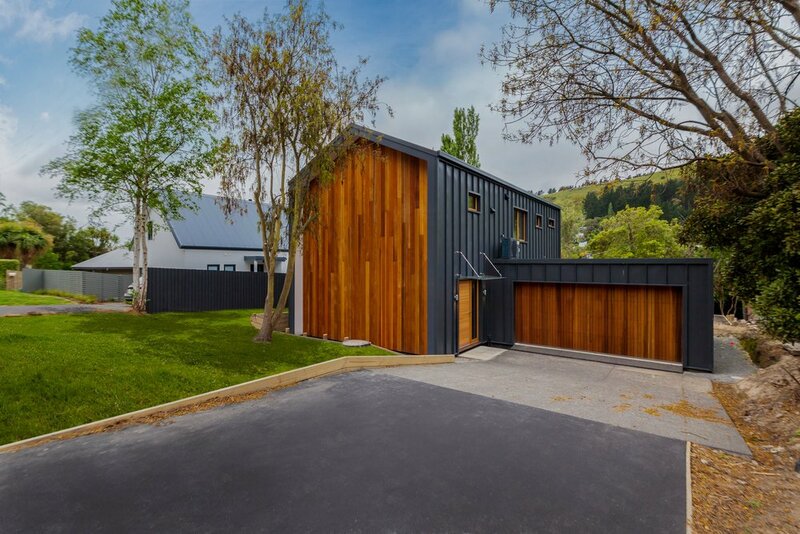 This striking family home is the first South Island residence to be certified as Passive House Plus; it meets Passive House performance standards plus generates as much energy as it uses over a year. 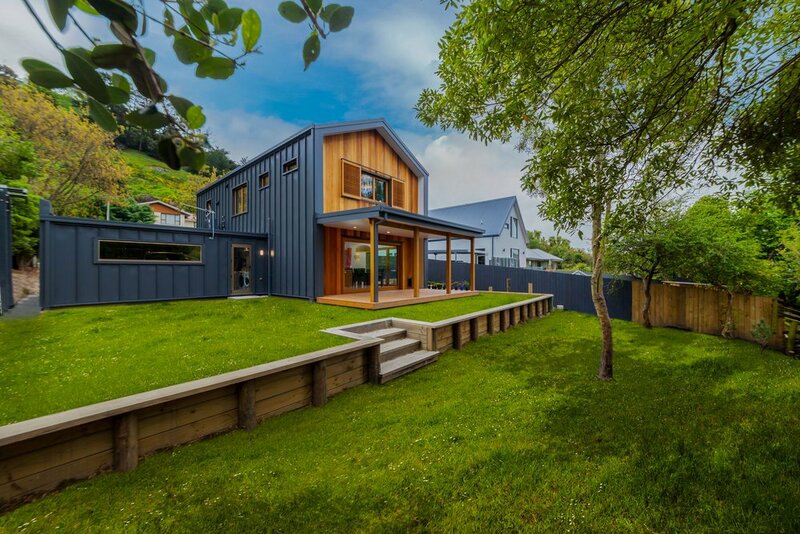 Proving there need not be a trade-off between function and form, its architects were highly commended in the 2018 ADNZ Architectural Design Awards. 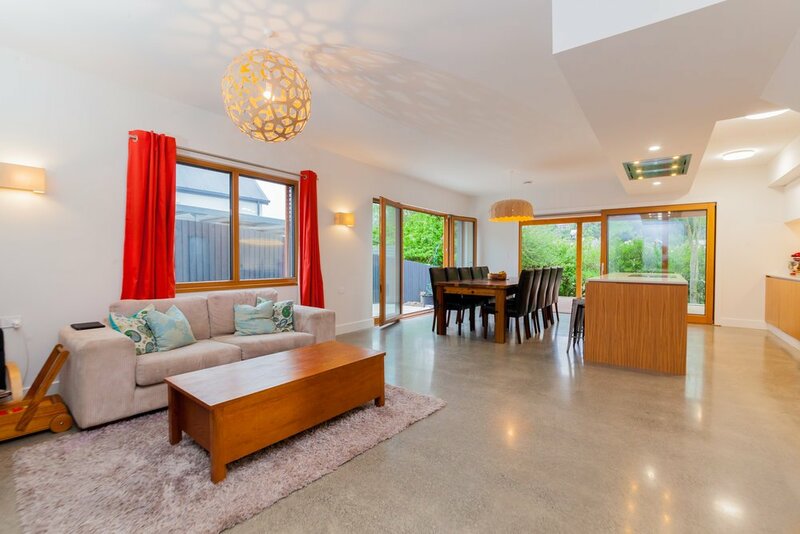 The house was built for young family returning to Christchurch after the Canterbury earthquakes. A narrow site dictated the simple, rectangular form of the 157m2 house but also reflected the clients’ vision for a simple family home. 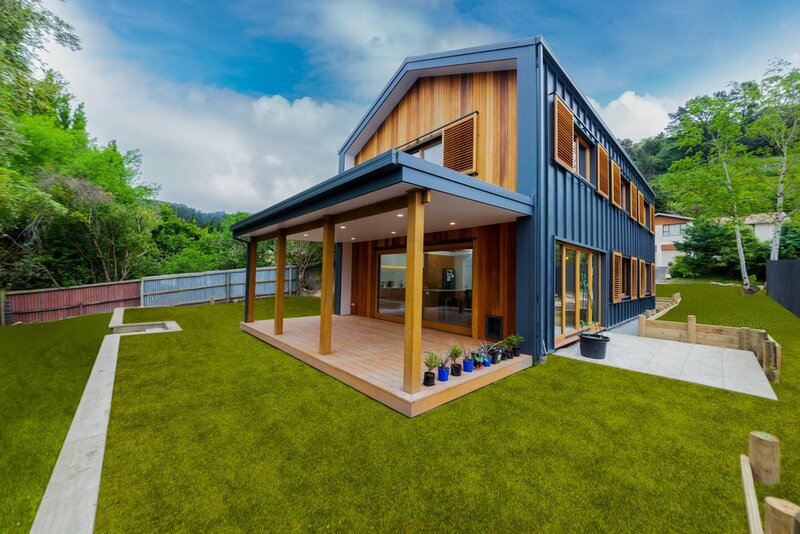 This Passive House Plus is built from pre-fabricated THECA timber wall and roof panels with blown fibreglass insulation installed at the factory. It sits on an insulated, 300 mm thick concrete slab. 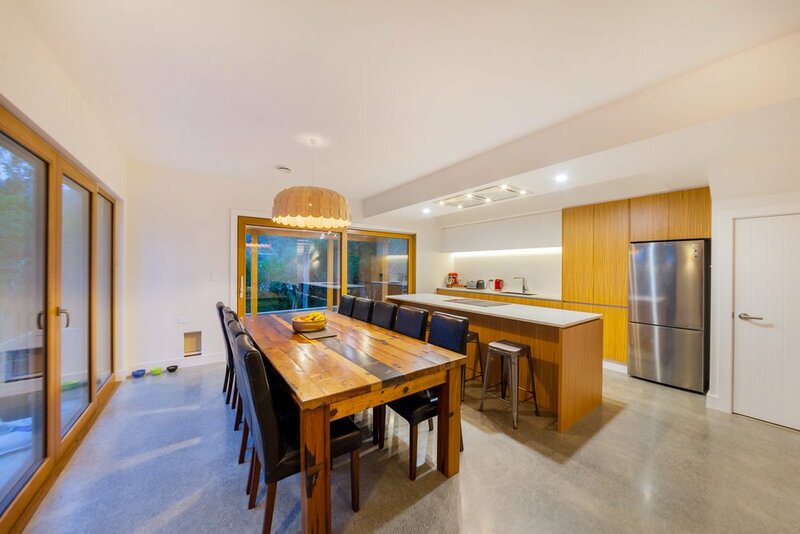 Triple-glazed, timber-framed windows were manufactured in New Zealand by ThermaDura. Window shutters on the north face assist in preventing over-heating in summer. Energy is generated via photo-voltaic panels on the north-facing roof — enough to supply the house’s energy needs in summer and send excess power back into the grid. 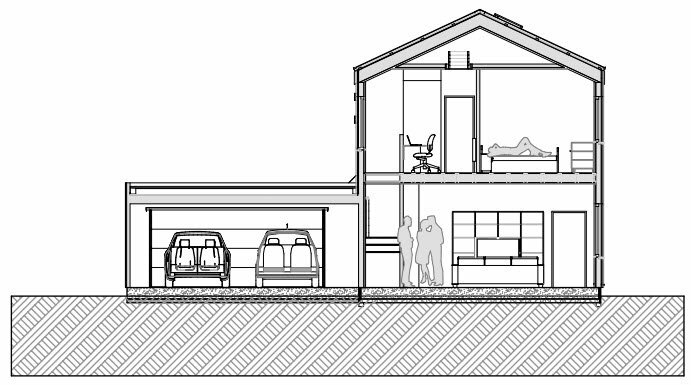 The design team selected a Wolf ventilation system due to the local support offered. The designers note that routing of ventilation ducting is best considered early in the design process.